Home / Le blog / A Christmas dinner without Yule Log : unthinkable ! A Christmas dinner without Yule Log : unthinkable ! Christmas is in only one week and the question of the menu is again appropriate. And if we spoke about the dessert. 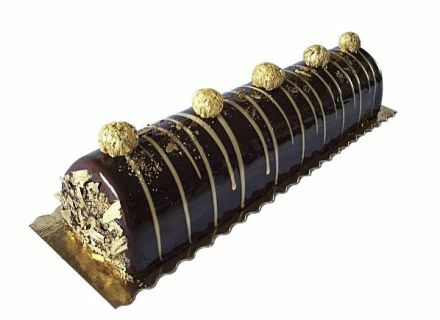 A Yule Log obviously : rectangular, rounded off, with a butter cream or frozen. It does not matter ! We respect the tradition, but it does not prevent us from innovating this year and to visit La Fée Sucrée. Behind La Fée Sucrée hides Priscillia Bodet. She created its laboratory in Niort Souché. No store, it is its choice. 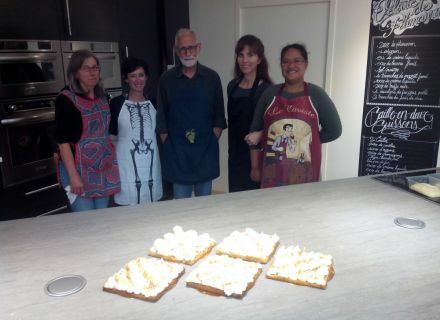 But a direct contact with her clientele to create a custom-made dessert. She will know how to give you ideas and especially to propose you desserts, to order. Imagine a dessert made only for you ! Priscilla is formal. The taste certainly is essential but the presentation is also important ! Finished the small plastic subjects which throne on the Yule Log, place in a decoration in chocolate which is eatable ! This hardened confectioner, native of Niort, chose this job as her creativity and especially for her weakness : the sweet food. 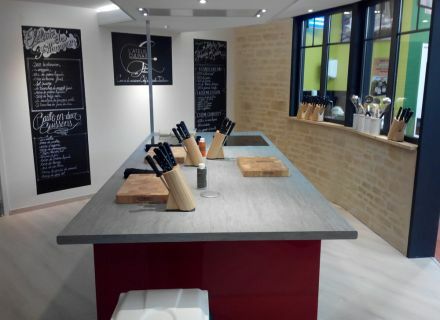 She can concoct you the dessert of your desires, share with you her confectioner's tricks in particular during her workshops organized with Guillaume Grolleau to L’Atelier Culinaire, every Wednesdays and Saturdays, situated in the Plaisirs Fermiers in Niort. I investigated for you and I took away to her some information concerning THE inescapable dessert for Christmas. 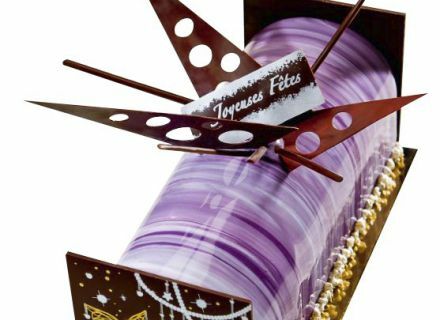 It is unmistakably the Yule Log which occurs her and the ingredient which is undoubtedly imperative is the chocolate. She proposes you to combine with the raspberry… Yummy, it will titillate your papillae ! But she proposes you plenty of other flavors and, certainly, you will find one which will please you ! Then save some room in the evening of the Christmas Eve for the dessert !